Successfully investing in rare coins is not a simple task that can be learned in a short period. The well-known coin collector and numismatist, John J Pittman Jr. assembled a world-class coin collection over many decades. David W. Akers sold the coin collection in 1997 for more than $30 million. Akers said it best when he wrote, “John was not a wealthy man, except in knowledge.” Pittman searched for truly exceptional rare coins that he could afford and was within his budget. For example, he purchased a Proof 1833 Capped Head gold five dollar half eagle for $635 in 1954. It sold for $467,500 in 1997! The coin market has drastically changed over the last few decades, if not the previous century. In 1986, third-party grading services leveled the playing field regarding verifying authenticity and defining standard coin grades. Relying on third-party grading services does not replace the study of a particular coin series, but it does remove much of the risk involved in the purchase of rare coins. Additionally, the advent of the Internet brought with it easy access to a wide variety of coin collecting knowledge and the ability to purchase rare coins online. However, this does not replace the information that you can obtain through books, knowledgeable coin dealers, other coin club members, and coin shows. As with any investment, diversification is the key to reducing risk. Your portfolio of rare coins should include a variety of coins that will minimize market fluctuations and maximize returns. It should include classic United States coins such as half cents, large cents, early nickels, dimes, quarters, half dollars and silver dollars. You may also choose to invest in precious metals such as gold bullion coins. Classic gold coins ranging from one dollar gold coins through $20 gold double eagles will also provide diversification in your rare coin portfolio. You may hear stories about people "flipping" coins for quick profit. This is the rare exception and carries a high amount of risk. Looking for quick profit is an investment mistake you want to avoid. The most successful investors in coins had an extremely long-term vision that took years, if not decades, to assemble. This time was spent learning about the coins they were purchasing and studying the market valuation of each and every coin they purchased. This enabled them to spot coins of truly exceptional value. The most sound investment advice for investing in rare coins is reflected in the old adage, "Buy the book before you buy the coin." The knowledge that you acquire through education will ensure that you fully understand the investment that you are about to make. Specialize in a particular series of coins or type collection that you want to assemble. Then acquire the knowledge that will enable you to identify quality coins at a fair market value. There are enough books on coin collecting to fill an entire library and more are being published every month. Therefore, there is probably a book already written with the knowledge that is required to make an informed investment decision. From Sheldon varieties of large cents through VAM varieties of Morgan and Peace silver dollars, there is a book that you can study before you invest in a rare coin. Additionally, the Internet can provide a wealth of information on the rare coins that you are considering for investment. But remember, everything on the Internet is not necessarily true. However, it can be a great source for determining the market value of the coins you are researching for investment. There are pricing guides such as The Gray Sheet, the Redbook and various auction results. Depending upon the rarity of the coin, auction results provide the most transparent measurement of value since the transaction was conducted in a public forum. When researching market value, don't just compare the grade on the third-party encapsulated coin holder to the value reference guide you are using. Remember, the coin holder represents a guarantee of authenticity and an opinion on the grade. Look at the quality of the coin you are considering and judge for yourself if it meets your quality standards and you agree with the grade that is indicated on the holder. The rare coin market is just as volatile as any other free-market. Ultimately coin prices are determined by supply and demand. The discovery of a coin horde can dramatically affect the price of coins. For example the sale of the GSA silver dollars in the 1970s made many previously "rare" Morgan silver dollars "common" when thousand coin bags of them were put on the market. This sudden influx of supply dramatically pushed the price of many rare Morgan silver dollars down to that of a common silver dollar. Conversely, sudden unforeseen demand for particular series can cause a sudden rise in price. When the fad has subsided, prices will retreat to their previous level. This is most evident with the advent of registry sets, which allow collectors to anonymously publish their coin collections and compete against other coin collectors for the best assembled set. Mostly this affects "condition rarities" that can demand high prices one day and lower prices the next. For example, in March of 2013, a 1995-W Proof Silver Eagle graded Proof-70 DCAM by PCGS was sold at auction for $86,654.70 (inclusive of the Great Collections 10% buyer's fee). Over 1,600 coins have been graded Proof-69 DCAM by PCGS and these normally sell for about $4,000 each. Since this was the first one to be graded as a "perfect" coin, over 100 bids were received by coin collectors wishing to have this coin in their registry set. Since then, over 200 coins have received the "perfect" grade of Proof-70 DCAM by PCGS and now sell for about $20,000. This represents a loss of over $60,000 to the purchaser when this price bubble busted. Coins are not like stocks and bonds which are traded as commodities. A share of Microsoft is the same as every other share of Microsoft on the market. 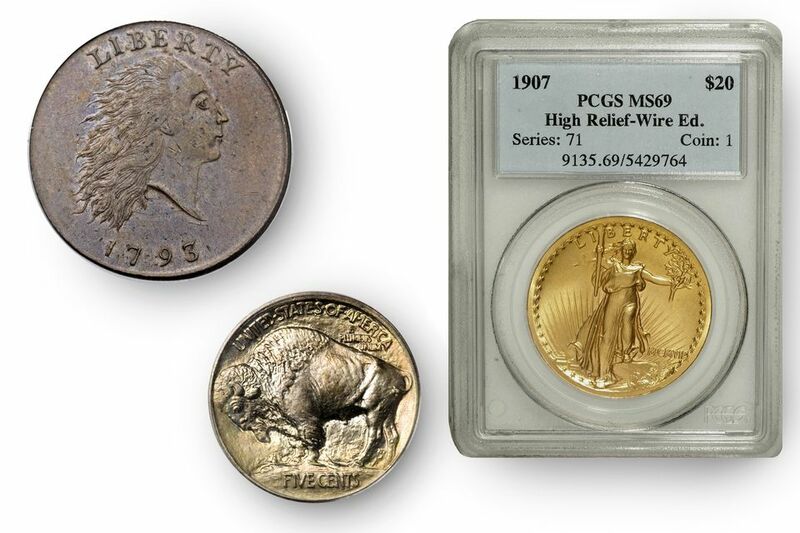 Two 1907 St. Gaudens double eagle gold coins may appear to be identical, and may even have the same grade, but there will be subtle differences that will make one coin better than the other. More rare coins are traded privately than through public auctions. Therefore, it is a good strategy to have a skilled professional numismatist working for you while you build your collection of rare coins. Larger coin shows such as the Florida United Numismatists (FUN) and the American Numismatic Association (ANA) World's Fair of Coins are great places to find investment quality rare coins. Additionally, not all rare coins are consistently advertised in a coin dealer's price list. Working with a trusted coin dealer can help you find rare coins that match your investment goals. 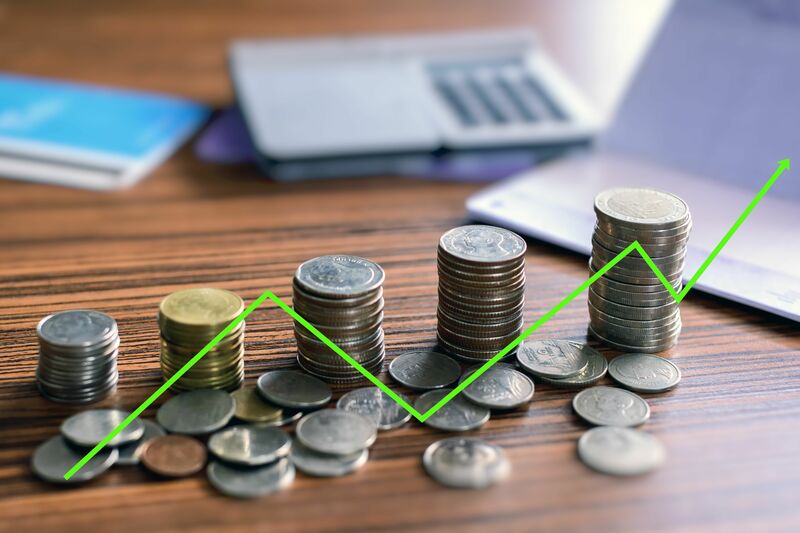 Recognize that coin dealers make the market move and they understand the coin market's intricacies that you can use to your advantage. All investment quality rare coins that you purchase should be certified by either Professional Coin Grading Service (PCGS) or Numismatic Guarantee Corporation (NGC). There are two other third-party coin grading services that you may want to consider, ANACS and Independent Coin Grading (ICG) that are second-tier certification services. However, the rare coin market does not recognize them as major players. It was once said, "I am not sure how to describe quality, but I know it when I see it." The same holds true for rare coins. You may look at two identical coins graded by the same grading service and they may even have the exact same grade, but one will look better to you than the other. This usually accounts for the coin with the better eye appeal having a higher price. If the coin dealer has them priced identically, and you agree with the grade assigned, you would definitely want to invest in the coin with the better eye appeal. Look for quality coins within your target grade. Recently, Certified Acceptance Corporation (CAC) started certifying already encapsulated coins. You can tell these coins by a CAC sticker affixed to the slab. A green CAC sticker indicates that the coin is "solid for the grade." A gold CAC sticker indicates a "candidate for upgrade" and is clearly a premium quality coin for the assigned grade. Finally, beware of counterfeit and doctored coins. In 2010 The Professional Numismatic Guild (PNG) defined coin doctoring as "the action of a person or the enabling of another, to alter a coin's surface or appearance, usually to diminish or conceal defects, and thereby representing the condition or value of a coin as being superior to its actual condition or value." This includes manipulating the surface of a coin to hide hairlines, applying substances to the surface, lasering techniques, applying chemicals, re-engraving details or altering dates and mintmarks. The experts at the certification service almost always detect these alterations and will not certify coins that have been doctored. How Can Commons Coin Be a Grade Rarity?